THE FOLLOWING DESCRIBES THE TERMS ON WHICH PLACES4STUDENTS.COM OFFERS YOU ACCESS TO OUR SERVICES. Welcome to the User Agreement (the "Agreement" or "User Agreement") for Places4Students.com. This Agreement describes the terms and conditions applicable to your use of our services available under the domain and sub-domains of www.places4students.com (the "Site") and the general principles for the website. Do not use or access our services if you do not agree to be bound by the terms and conditions of this Agreement. You may not change, supplement or amend this Agreement in any manner. Places4Students Inc./LLC, in its sole discretion, may change, supplement or amend this Agreement as it relates to your use of the Site from time to time, for any reason, and without any notice or liability to you or any other person, by posting a revised Agreement on the Site. Our services are available only to, and may only be used by individuals who can form legally binding contracts under applicable law. Without limiting the foregoing, our services are not available to children (persons under the age of 18) or temporarily or indefinitely suspended Places4Students.com users. If you are under the age of 18, you can use this service only in conjunction with, and under the supervision of your parents or guardians. If you do not qualify, please do not use our Site. Further, your Places4Students.com account and User ID may not be transferred or sold to another party. If you are registering as a business entity, you acknowledge that you have the authority to bind the entity to this Agreement. Joining Places4Students.com is free. Storing your listings and advertisements is free. However, we do charge fees for posting listings and advertisements on Places4Students.com. You will have an opportunity to review and accept the fees that you will be charged, before processing your posting. We may make changes to our services from time to time. Our changes to a policy are effective after we provide you with at least fourteen (14) days' notice of the changes by posting the changes on Places4Students.com. However, we may choose to change the fees charged for our services or offer promotional rates, and such changes are effective immediately once published on Places4Students.com. We may in our sole discretion change some or all of our services at any time. In the event we introduce a new service, the fees charged for that service are effective at the launch of the service. Unless otherwise stated, all fees are quoted in U.S. and Canadian Dollars, consistent with the geographical location of the school for each posting. You are responsible for paying all fees associated with using our service and the Site, including all applicable taxes. 3. PLACES4STUDENTS.COM IS A VENUE. The Site acts as a venue to allow anyone to advertise a property for rent or lease, at any time, from anywhere, in a variety of pricing formats. We are not involved in the actual transaction or leasing process between landlords and tenants. As a result, we have no control over the quality, safety or legality of the items advertised, truth or accuracy of the listings, the ability of landlords to rent their properties, or the ability of renters to pay for items and maintain properties in the same condition as when rented. Please refer to the applicable landlord/tenant legislation in your jurisdiction (i.e. your rights and obligations there under). We cannot ensure that a landlord or tenant will actually complete a transaction or the financial viability/soundness of either landlord or tenant. A. Identity Verification. Because user verification on the Internet is difficult, Place4students Inc./LLC cannot and does not confirm each user's purported identity. We encourage you to communicate directly with potential landlords, tenants and/or users contracted through Places4Students.com. You may also wish to consider using a third party lawyer service or other service that provides additional user verification. B. Release. Because we are a venue, in the event that you have a dispute with one or more users, you release Places4Students Inc./LLC (and our officers, directors, agents, subsidiaries, joint ventures and employees) from claims, demands and damages (actual and consequential) of every kind and nature, known and unknown, suspected and unsuspected, disclosed and undisclosed, arising out of or in any way connected with such disputes. C. Information Control. We do not control the information provided by other users that is made available through our system. You may find other user's information to be offensive, harmful, inaccurate, or deceptive. Please use caution and common sense when using the Site. Please note that there are also risks of dealing with underage persons or people acting under false pretense. By using this Site, you agree to accept such risks and Place4Students Inc./LLC is not responsible for the acts or omissions of users on the Site. A. Listing Description. You must be legally able to lease the item(s) you list for lease on the Site. You must describe your item and all terms of the lease on the listing page of the Site. Your listings may only include text descriptions, pictures and other content relevant to the lease of the property. All listed properties must be listed in an appropriate category. B. Fraud. Without limiting any other remedies, Place4Students Inc./LLC may suspend or terminate your account if we suspect that you (by conviction, settlement, insurance or escrow investigation, or otherwise) have engaged in fraudulent activity in connection with the Site. C. Manipulation. Neither you, the landlords nor tenants may manipulate the lease price of any property nor may you interfere with other landlord's listings. A. Definition. "Your Information" is defined as any personal or contact information you provide to us or other users in the registration of an account, listing process or through any email feature. You are solely responsible for Your Information, and we act as a passive conduit for your online distribution and publication of Your Information. III. you do not have a right to link to or include. Furthermore, you may not list any item on the Site (or consummate any transaction that was initiated using our service) that, by paying to us the posting fee, could cause us to violate any applicable law, statute, ordinance or regulation, or that violates our current policies. d. bypass our robot exclusion headers or other measures we may use to prevent or restrict access to the Site. d. we have been notified by a School/Institution to remove your property listing from the school's webpage. Protection of users' privacy is very important to Places4students Inc./LLC. We understand clearly that you and your information is one of our most important assets. We store and process your information on computers located in the United States and Canada that are protected by physical, as well as technological, security devices. If you object to your Information being transferred or used in this way, please do not use our services. Users posting or otherwise using this Site declare THAT THEY WILL NOT DISCRIMINATE AGAINST APPLICANTS OR TENANTS ON THE BASIS OF AGE, RACE, GENDER, NATIONALITY, RELIGION, DISABILITY OR SEXUAL PREFERENCE, WITH RESPECT TO AVAILABILITY OF HOUSING OR THE TERMS AND CONDITIONS OF RENTING OR LEASING HOUSING, AND ACKNOWLEDGE THAT PLACES4STUDENTS INC./LLC WILL SUSPEND THE ACCOUNT OF ANY USER FOUND GUILTY BY THE DESIGNATED AUTHORITIES, OF ENGAGING IN ANY SUCH DISCRIMINATION. WE, OUR SUBSIDIARIES, OFFICERS, DIRECTORS, EMPLOYEES AND OUR SUPPLIERS PROVIDE OUR SITE AND SERVICES "ON AN AS IS BASIS" AND WITHOUT ANY WARRANTY OR CONDITION, EXPRESS, IMPLIED OR STATUTORY. WE, OUR SUBSIDIARIES, OFFICERS, DIRECTORS, EMPLOYEES AND OUR SUPPLIERS SPECIFICALLY DISCLAIM ANY IMPLIED WARRANTIES OF TITLE, MERCHANTABILITY, FITNESS FOR A PARTICULAR PURPOSE AND NON-INFRINGEMENT. Some states do not allow the disclaimer of implied warranties, so the foregoing disclaimer may not apply to you. This warranty gives you specific legal rights and you may also have other legal rights that vary from state to state or province to province. You agree to indemnify and hold us and (as applicable) our parent, subsidiaries, affiliates, officers, directors, agents, and employees, harmless from any claim or demand, including reasonable attorney's fees, made by any third party due to or arising out of your breach of this Agreement or the documents it incorporates by reference, or your violation of any law or the rights of a third party. You shall comply with all applicable domestic and international laws, statutes, ordinances and regulations regarding your use of our service and your bidding on, listing, purchase, solicitation of offers to purchase, and sale or lease of items. You and Place4Students Inc./LLC are independent contractors, and no agency, partnership, joint venture, employee-employer or franchiser-franchisee relationship is intended or created by this Agreement. Except as explicitly stated otherwise, any notices shall be given by postal mail to Place4Students.com, Attention: Legal Department, 94 Church Street, St. Catharines, ON, L2R 3C8 (in the case of Place4Students Inc./LLC) or to the email address you provide to Place4Students.com during the registration process (in your case). Notice shall be deemed given 24 hours after email is sent, unless the sending party is notified that the email address is invalid. Alternatively, we may give you notice by certified mail, postage prepaid and return receipt requested, to the address provided to Place4Students.com during the registration process. In such case, notice shall be deemed given three (3) days after the date of mailing. In the event a dispute arises between you and Places4Students Inc./LLC, our goal is to provide you with a neutral and cost effective means of resolving the dispute quickly. Accordingly, you and Places4Students Inc./LLC agree that any claim or controversy at law or equity that arises out of this Agreement or our services ("Claims") shall be resolved in accordance with one of the subsections below or as otherwise mutually agreed upon in writing by the parties. Before resorting to these alternatives, we strongly encourage you to first contact us directly to seek a resolution and we will consider reasonable requests to resolve the dispute through alternative dispute resolution procedures, such as mediation, as an alternative to litigation. Binding Arbitration. For any Claim (excluding Claims for injunctive or other equitable relief) where the total amount of the award sought is less than $10,000, you or Places4students Inc./LLC may elect to resolve the dispute through binding arbitration conducted by telephone, online and/or based solely upon written submissions where no in-person appearance is required. In such cases, the arbitration shall be administered by the American Arbitration Association or JAMS in accordance with their applicable rules, or any other established ADR provider mutually agreed upon by the parties. Any judgment on the award rendered by the arbitrator may be entered in any court having jurisdiction thereof. Court. Alternatively, any Claim may be adjudicated by a court of competent jurisdiction located in Niagara Region, ON or where the defendant is located (in your case your home address or principal place of business). You and Places4Students Inc./LLC agree to submit to the personal jurisdiction of the courts located within the county of Essex, Ontario. Alternative Dispute Resolution. Alternatively, Places4Students Inc./LLC will consider use of other alternative forms of dispute resolution, such as binding arbitration to be held in Niagara Region, ON or another location mutually agreed upon by the parties. All Claims (excluding requests for injunctive or equitable relief) between the parties must be resolved using the dispute resolution mechanism that is selected in accordance with this Section by the first party to file a Claim. Should either party file an action contrary to this Section 15, the other party may recover attorneys' fees and costs up to $1000, provided that the party seeking the award has notified the other party in writing of the improperly filed Claim, and the other party has failed to withdraw the Claim. All sales are final. Should you have a concern or issue with your posting(s), please contact our Customer Service Department. Places4Students Inc./LLC policy states that all invoices for postings on Places4Students.com are due upon receipt. Invoices that are not paid in a satisfactory timeframe may result in disciplinary action. Disciplinary action may include a formal warning, related postings taken offline, temporary or indefinite suspension of the user's account and/or collections procedures. Places4Students Inc./LLC will contact the user prior to taking disciplinary action. Places4Students Inc./LLC reserves the right to not reinstate a user's suspended account. All rental property listings and advertisements are posted for the period of time chosen by the user. After this period has expired, postings can be renewed by the user; however, this will not be done automatically. Each posting's start date will be effective on the day of approval by Places4Students Administration, not necessarily the date submitted by the user. All postings and/or edits are subject to Places4Students Administration approval and will be processed online during our business hours (with the exception of Statutory Holidays). Postings submitted outside of our business hours will be processed at the beginning of the next business day. In the case of posting edits, the original posting (if already online) will remain online until the edited version is approved by Places4Students Administration. Postings that violate any Places4Students Inc./LLC policy may result in disciplinary action. Disciplinary action may include a formal warning, violating postings taken offline and/or temporary or indefinite suspension of the user's account. Places4Students Inc./LLC and/or the School/Institution will consider the circumstances of an alleged offence and the users' posting records, before taking disciplinary action. Places4Students Inc./LLC reserves the right to not reimburse associated fees to a user when a violating posting is taken offline due to disciplinary action. A property not matching the property description that is outlined in their rental listing is prohibited. In addition, owners must advertise rental property listings under their name; students are not permitted to advertise on any owner’s behalf. Places4Students Inc./LLC will only collect, use and disclose personal information from users, in order to provide the services of this website for the user. We will only handle users’ personal information in a confidential manner. Users voluntarily provide their personal and contact information within secure accounts and to our staff over the phone or through correspondence. Users are responsible to ensure their personal and contact information is accurate and complete within their accounts, listings or advertisements. Places4Students Inc./LLC is committed to keeping all users’ personal information secure by the use of IDs, passwords, encryption, firewalls and PCI certification (Payment Card Industry Security). We will continually review and update our security policies and controls as technology changes, to ensure ongoing personal information security. To protect Places4students Inc./LLC or its Schools/Institutions represented from fraud. Places4Students Inc./LLC policy prohibits the use of language on the website that is racist, hateful, sexual or obscene in nature for a public area. This includes, but is not limited to, offensive user names, email addresses, posting's content and pictures. Rental property listings without street numbers in the property address will be approved by Places4Students Administration; however, this will result in inaccurate Google coordinates for mapping within the listing. Places4Students Inc./LLC policy does not allow multiple addresses or accommodations to be advertised within one rental property listing. Listings that are in violation of this policy will not be approved or posted by Places4Students Administration. Properties that have multiple units must be advertised using Multiple Unit Listing(s). Places4Students Inc./LLC reserves the right to edit the content of all rental property listings. Places4Students Inc./LLC policy does not allow identical rental property listings to be posted more than once within the same school's webpage. Duplicate rental property listings are permitted to be posted on several school's webpages, provided all applicable listing fees are paid. Places4Students Inc./LLC policy prohibits users from using this website to send spam. Spam is defined as email that is both unsolicited and is commercial in nature. Places4Students Inc./LLC policy prohibits users from falsifying or omitting their contact information including name, address and/or telephone numbers (fax machines or disconnected numbers) when processing payment by invoicing. If Places4Students Administration is unable to contact a user for invoicing purposes, then the aforementioned Invoicing Policy will be in violation. The specification of preferences of tenants in rental property listings is prohibited, except under shared housing circumstances. If a user is advertising a shared housing unit in which tenants will be sharing a bathroom, kitchen or other common areas, the user may express a preference based upon gender only. Many people are not aware of the problems these scripts can cause and do not intentionally use them to cause harm; however, these types of scripts can also be used for malicious purposes. Therefore, in the interest of security, Places4Students Administration will not upload a posting with scripts. Places4Students Inc./LLC policy permits the use of internet links within banner ads, rental property listing and other postings; however, users posting links take full responsibility for the content of the links. Places4Students Inc./LLC reserves the right to delete any links, where the content is determined to be inappropriate, offensive or against any of the policies set-out herein. Places4Students Inc./LLC policy permits the use of third party webpage text within postings; however, users posting the text take full responsibility for its content. Places4Students Inc./LLC reserves the right to delete any third party webpage text, where the content is determined to be inappropriate, offensive or against any of the policies set-out herein. Places4Students Inc./LLC policy prohibits the use of photos on the website that are racist, hateful, sexual or obscene in nature for a public area. It is strictly prohibited to copy, reproduce or reuse any photographs or images from this website. Places4Students Inc./LLC prohibits users whose accounts are suspended from registering new accounts under a different name and/or participating on Places4Students.com using associated registrations. 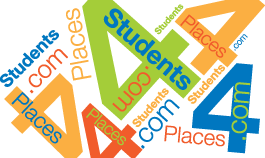 The material contained in the Places4Students.com domain, including all portions of the Site, content, design, logo, text, graphics, and the selection and arrangement thereof are Copyright © Places4Students Inc./LLC, ALL RIGHTS RESERVED. No material from the Site may be copied, reproduced, republished, posted, transmitted or distributed in any way. The user may print, in hard copy, portions of the Site only for their personal use, and may not post, republish, broadcast or otherwise broadly disseminate that material. The use of any such material for any other reason and/or on any other website, or the modification, distribution or republication of this material without prior written permission from Places4Students Inc./LLC, is strictly prohibited. The Site is controlled by Places4Students Inc./LLC from its offices within the Province of Ontario, Canada. The Site can be accessed from all provinces and territories of Canada, as well as from other countries around the world. As each of these jurisdictions has laws that may differ from those of the Province of Ontario, the user agrees that all matters relating to access to or use of the Site, shall be governed by the laws of the Province of Ontario and the Federal laws of Canada, applicable therein. The user also agrees and hereby submits to the exclusive personal jurisdiction and venue of the courts of the Province of Ontario and acknowledges that the user does so voluntarily and is responsible for complying with local laws. We do not guarantee continuous, uninterrupted or secure access to our services, and operation of the Site may be interfered with by numerous factors outside of our control. If any provision of this Agreement is held to be invalid or unenforceable, such provision shall be struck and the remaining provisions shall be enforced. You agree that this Agreement and all incorporated agreements may be automatically assigned by Places4Students Inc./LLC in accordance with Section 15 (Notices), in our sole discretion. Headings are for reference purposes only and in no way define, limit, construe or describe the scope or extent of such section. Our failure to act with respect to a breach by you or others does not waive our right to act with respect to subsequent or similar breaches. This Agreement sets forth the entire understanding and agreement between us with respect to the subject matter hereof. Sections 2 (Fees and Services) with respect to fees owed for our services, 3.B. (Release), 5.C. (License), 6 (Access and Interference), 11 (Liability Limit), 12 (Indemnity) and 16 (Resolution of Disputes) shall survive any termination or expiration of this Agreement. The services hereunder are offered by Places4Students.com, located at 94 Church Street, St. Catharines, ON, L2R 3C8. Disputes between you and Places4Students Inc./LLC regarding our services through Places4Students.com may be reported to our Customer Service Department by emailing feedback@places4students.com. We encourage you to report all user-to-user disputes to your local law enforcement, postmaster general, or a certified mediation or arbitration entity. Places4students Inc./LLC and/or the Schools/Institutions represented do not guarantee representation and/or compliance by users, landlords and/or advertisers with respect to warranty, Residential Tenants Act or applicable legislation in any jurisdictions in relation to postings made on Places4Students.com.